The Catholic Church's independent child protection watchdog has said that services provided to both the victims and perpetrators of clerical sexual abuse need to be reviewed. Ian Elliott, the chief executive of the National Board for Safeguarding Children in the Catholic Church in Ireland, said that standards agreed with Church leaders in 2009 were in need of overhaul. 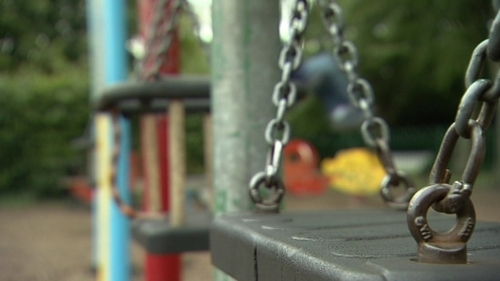 Speaking on RTÉ's News At One, Mr Elliott said that specific attention should be paid to the "outreach to victims" and to the services offered to those who pose a risk to children. The NBSCCC board issued its latest annual report today. Mr Elliot said the most outstanding feature of the 242 complaints that it dealt with in 2012 was the number of abuse complaints that were historic, with some dating back to the 1940s. Mr Elliott's role as CEO of the NBSCCC comes to an end next month after six years at the helm. A lot of work has been achieved in improving child protection measures within the Church in the past six years, he said. He described the role he played as a "fascinating journey" and that tensions that arose between his office and senior Church figures were an inevitable consequence of pushing for improved safeguards. Mr Elliott said he believed that there was mutual trust and respect between his office and the Catholic Bishops. He said there was also a commitment on both sides to safeguarding children. He confirmed earlier reports that he was in discussions with the NBSCCC to continue in an advisory capacity to the board after stepping down as CEO.